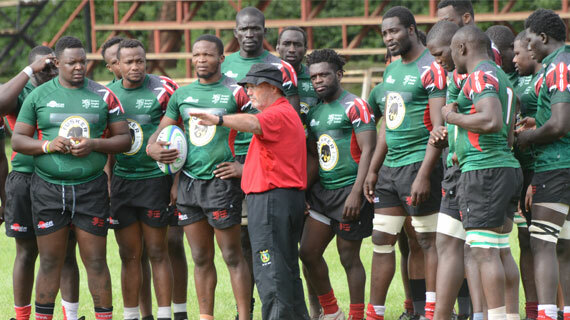 Kenya 15s head coach Ian Snook is confident the team can pick their second consecutive win of the Rugby Africa Gold Cup but is wary of a tough Zimbabwe side when the two sides clash at the RFUEA Ground on Saturday afternoon. Kenya started their campaign with a 28-24 win over Morocco in Casablanca last weekend while the Zimbabweans registered a 23-23 home draw against the North Africans a fortnight ago. “We watched Zimbabwe in their game against Morocco and we realized it will be a big task. They have speed on the outside and size on the inside and it’s going to be difficult. Theyhave hired a very experienced coach in Peter de Villiers and that shows much about their ambition,” the tactician noted. Zimbabwe last played Kenya in Nairobi seven years ago and they ended up the winning side at the Nyayo National Stadium. However, when the two sides lock horns again in their 20th overall meeting, Snook wants them to go all out for a win. “We did well in our first game obviously against Morocco though there are things we should have done better like the line outs and scrimmaging. These games come in quick turnaround so there isn’t much you can do in terms of training but we have tried to give a keen detail to how we execute our set plays,” the New Zealander said. Meanwhile, Murray Roulston will be on the bench alongside Snook for the last time as he announced last week he will be stepping away. Roulston pointed out that he was leaving due to lack of a work permit as well as payments. Snook says the absence will come to bite the team later but adds they will try to work without the coach.